These are the promises of God, five values that God will put into the lives of his followers. These contrast with five values the world has. The first, God says I will give them one heart, that is a heart that is whole, undivided. In contrast with that is an us versus them attitude in the world. One that alienates people instead of accepting them. Instead of bringing people together. I live in a divided country. people split on the topic of whether we should leave the EU with a deal, without a deal, have a second vote on the deal or remain in the EU anyway. When the cartoonist Dave Walker published the cartoon below the item that caused the most “I could not do that”comment was the bit about Brexit. 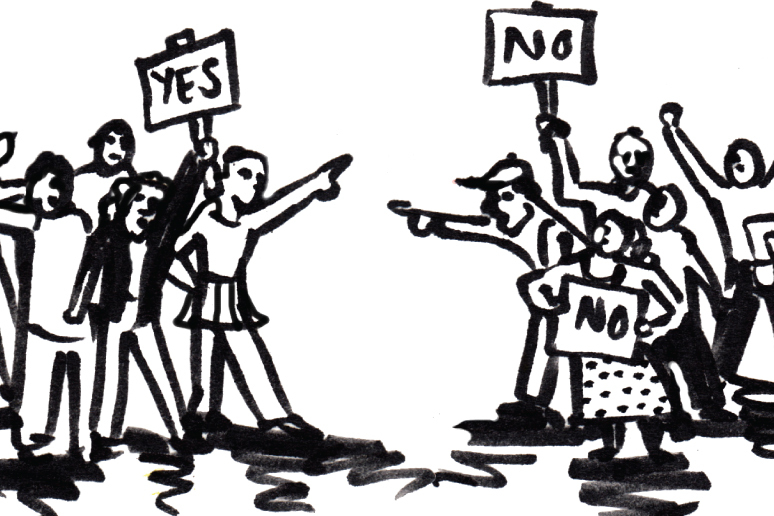 People now reject each other on this issue. We are divided where God wishes to unite. God says we are one as Christians. Part of the body of Christ which cannot be divided. We are one. Not the sort of unity where we all do what someone says, this sort of uniformity is not the unity that God shows to the world and wishes us to display. If a Church is divided against itself it cannot be showing the unity of God. The unity of God is open to all, we also have to be accepting of all, not only in church but also show it to the world also. This is part of what loving our neighbour as ourselves. Loving one another as Jesus Christ has loved us is our ministry to the church. Loving our neighbour as ourselves extends beyond the church. If someone has different political views to you, accept them. This is what it means to love your neighbour. If someone likes a different form of Christian worship than you, be it traditional or contemporary, accept them. We are to love one another as Christ loves us. If someone has different views on sexuality or transgender issues than you, or has a different sexuality or is transgender (assuming you are not, apologies to transgender readers) accept them. Accepting people has nothing to do with agreeing with them. God’s love is available to all, so should ours be. We do not need uniformity to be one. We just need to be open enough to God to be his channels. Part 1. Us vs them. / Part 2. I need a break. / Part 3. Trust no one.